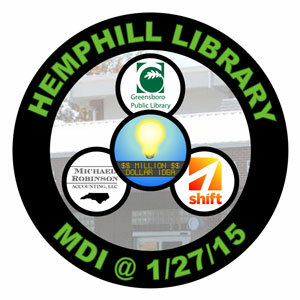 Here are the pictures from Tuesday, January 27th’s Million Dollar Idea card game event at Hemphill Library that finished up with a “sudden death” final round sponsored by Michael Robinson Accounting with organizing help from Shift, the Nussbaum Center’s Entrepreneur group. Sudden death round for who had the most market share. 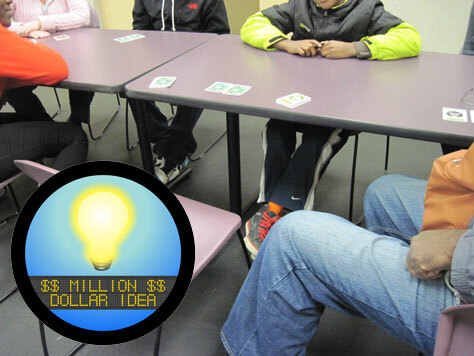 The players deciding who the winner is for the best “Million Dollar” product idea. 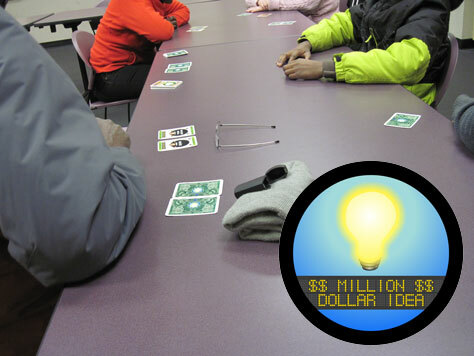 PUBLIC (FREE) EVENT – On Tuesday, January 27th, Hemphill Library will host the Million Dollar Idea card game from 6-7pm. 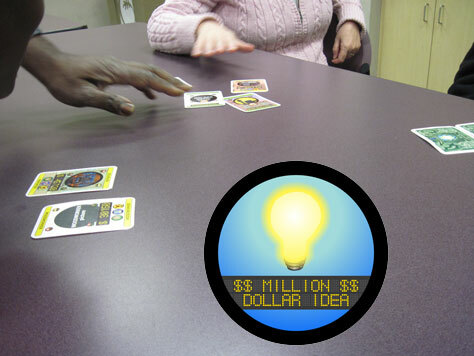 MDI is a card game that has players take turns being a customer while the other players try to convince them to purchase their products accumulating market share in the process. There are two ways to win by either having the most market share at the end of the game (combined money and resources) or coming up with the best product idea in the game. This event is sponsored by Michael Robinson Accounting with organizing help from Shift, the Nussbaum Center’s Entrepreneur group.